ISTANBUL, Turkey – “It was a nightmare. Maybe even worse than a nightmare.” That is how Beyza,* 19, described her experience of marrying at the age of 13. Deprived of an education and facing family pressure, she says she saw eloping with a cousin as ‘a way to escape’. She knew nothing about what was supposed to happen on the wedding night, and was abused by both her husband and her mother-in-law for not knowing how to tend house. “When I married, I thought that it was all my fault and that I just had to live with the consequences,” said Beyza, who told her story to Turkish filmmaker Bingöl Elmas for the documentary ‘Evcilik’. Beyza is far from alone. As many as one third of marriages in eastern and southeastern Turkey involve girls under age 18, with many younger than 15, according to research by the non-profit KAMER. Many of these unions are made through illegal religious ceremonies, which the country’s top religious authority, Diyanet chief Mehmet Görmez, has condemned as “a great injustice.” He has instructed local imams to address the issue in sermons, and those who perform illegal marriages are to be investigated. “The practice of child marriage is very much embedded in [many] people’s lives in Turkey, and changing mind-sets about this harmful practice takes time,” says Özlem Başdoğan, project coordinator for Uçan Süpürge (Flying Broom), an Ankara-based women’s organisation. The group’s advocacy and awareness-raising work on the issue helped inspire Elmas’ film, which has in turn been screened at Flying Broom’s International Women’s Film Festival. UNFPA Turkey has also worked to raise awareness of child marriage and adolescent pregnancy through media outreach. It also works to empower young girls through peer-education programmes on youth sexual and reproductive health, which address the risks of early marriages and pregnancies. Child marriage is addressed in UNFPA’s work to end gender-based violence. The consequences of child marriage can be severe, as Beyza’s story attests. She went on to attempt suicide, and suffered through a difficult pregnancy and childbirth. (Adolescents are at much higher risk of injury and death during pregnancy and labour.) When she returned to her mother’s house, she was cajoled back by her husband, who subsequently trafficked her. 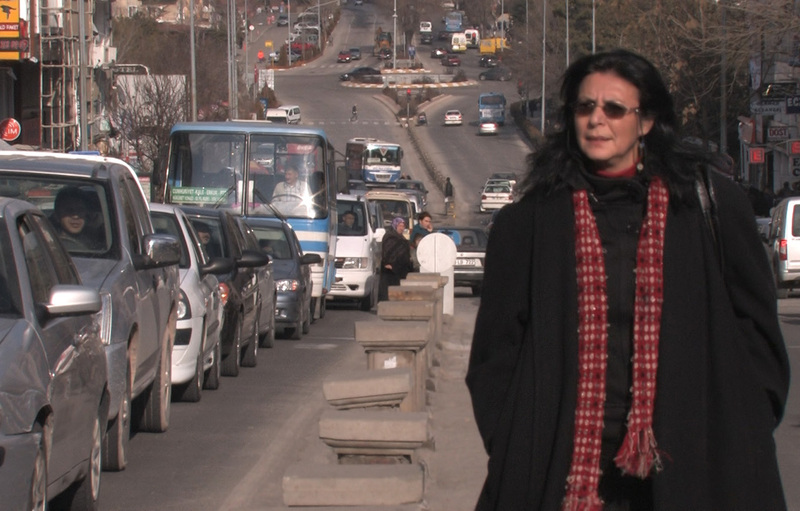 Hayriye Demirbilek also struggled with hopelessness after her marriage as a young teenager, which she also relates in Ms. Elmas’ film, which was produced by Asmin Film and the Kumbara Art Studio and Social Unity Institution with support from the Consulate General of the Netherlands’ Istanbul Human Rights Programme and the Turkish Culture Ministry’s General Directorate of Cinema. Ms. Demirbilek says she and her sisters grew up in an environment where “girls weren’t wanted or loved” and their education was dismissed as unimportant. “My mother was married off at the age of 16 and could never stand up for us,” she said. After she was accused of flirting with a neighbour boy, Ms. Demirbilek was beaten and then married off to a cousin. “They thought my honour needed cleansing,” she said. The marriage lasted only a year. “It’s a vicious circle. You take one wrong turn and the rest just keeps on coming. It gets to a point where you can’t fix anything anymore,” she said. But eventually, she says, she learned to “stand tall” and change her life. Though she had been a middle-school drop-out when she married, Ms. Demirbilek resumed her education after getting divorced and entered the workforce. Eventually she got involved in local politics. “[People] would come to me to talk about their problems, to ask for help. But they never knew how much help I needed myself,” she said.